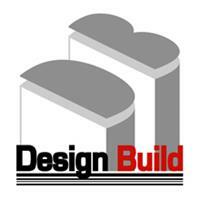 Design & Build Builders Ltd - Builder, Kitchens, Roofer based in Watford, Hertfordshire. Design & Build Builders Ltd provides a comprehensive service to home-owners looking to extend, repair or refurbish their homes. Having worked in the building industry for 17 years, we have extensive experience of managing and implementing projects of any size. Whether your project is large or small Design & Build Builders Ltd is happy to take on the challenge. We are based in Watford and dedicated to serving Hertfordshire & London area.